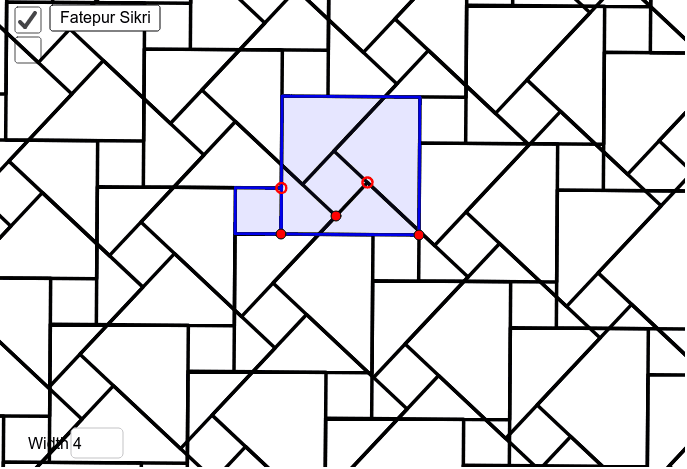 A classical Islamic tiling, recommended by Rebin Muhammad in connection with a James Tanton problem, He also notes Samira Mian has a nice tutorial for it. This applet generalizes it, but, as is often the case, you realize that the original designers made some optimal choices. 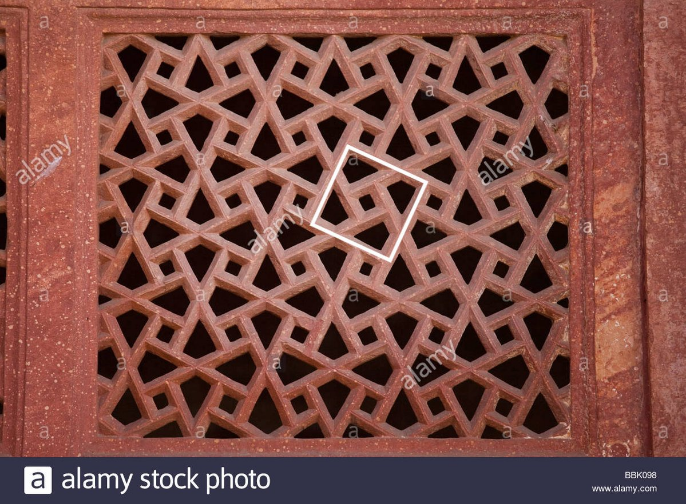 I was interested because it's two overlaid Pythagorean tilings, but the scale between the large and small square and the angle of rotation is pretty interesting. I'm wondering if there is also an optimal angle for other scales?